Knowing exactly when you should call and when you should bet, and importantly when not to call/bet is an important step in becoming a better player. The mental side of poker requires you to think through certain scenarios, and take an honest look at how you and others are likely to behave in a given situation. People can be smarter than you might give them credit for, and when you attempt obvious manipulative tactics at the poker table, more often than not you’re going to get found out. It’s a much more subtle behaviour that is required – one that softly persuades over time – a certain playing style that allows you to capitalise on the weaknesses you have perceived in your opponents. Don’t ever call too quickly to keep the game going. 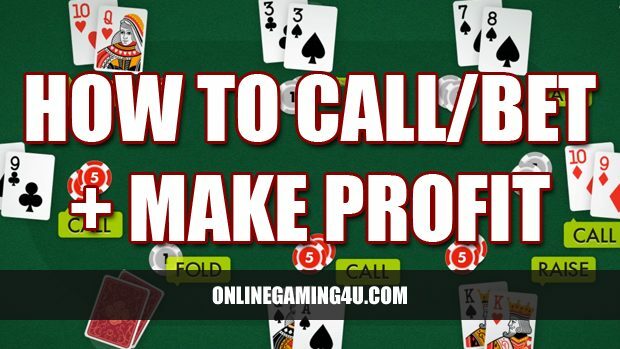 Particularly in online poker where there is usually an auto-call function that will automatically call when it gets to your turn, you should also appear to deliberate to at least some extent as to what to do. Take a second to plan your move when it’s your turn to play, and then call. Calling up front gestures immediately that you don’t have a good hand. Of course, this can be turned on its head to let others think you have weak cards, but by doing so you run the risk of minimising the overall pot, and you would probably be statistically better off gunning for a higher pot value and the win. By the same token, you don’t want to call too late, unless you’re trying to create the impression you don’t know what you’re doing. It shows a lack of confidence and aggressiveness in your gameplay, and shows with almost certainty that you have a poor to average hand. You need to find a happy medium, somewhere nearer the prompt response angle but that doesn’t lead to the assumption that you’re necessarily holding a useless hand. When you’re looking to bet you should also bear in mind the dynamics of the game and the strategies of other players around the table. When you’re going to bet, have the courage and confidence to get in there and raise the game. While obvious to the other players as an indicator of your perceived good hand, it is nevertheless a good tactic to be used sparingly throughout the game. If you seldom go out all guns blazing, and then do so on one particular hand (preferably against another bullish opponent), you have the potential not only to take the hand but also to win a substantial pot. Of course, if you appear too bullish, you run the risk of everyone else ducking out, which might be good if you’re in trouble but would have a disastrous impact on your potential earnings. Knowing the best decision to take in a given situation has a lot to do with subtlety and an appreciation of human behaviour and psychology. These are things you don’t need a degree to take an interest in – think about how people behave and how you would react in different scenarios in the shoes of another. By doing so, you should quickly build a better understanding of how you can take better decisions, and become a better poker player. I have been playing poker professionally for over 10 years now. I have found a system that consistently profits. Once you reach this level it can be difficult to remain profitable over the long run. Online poker can have great streaks. The first and most important step is to take notes. Use a spreadsheet. Write down everything. Write down your time, bankroll and end result for each table played at. Why you won, or why you lost. Also note the casino site if you play at several. Never stop taking notes. I have notes going back for several years. I have found that playing at lower stakes tables is more profitable (which is obvious, as the players are usually less experienced). Less obvious information I found is that certain sites are more profitable for me. Some sites promote more and have new players, which is great for you. So always take notes and always learn from them. The second step to remaining profitable is to stay consistent. If you win a few big games and are up, DO NOT jump to a higher stakes table and throw your entire bankroll into a larger game. I gradually step my game up to higher stakes tables over years. You can use your notes to find the most profitable table for you. If you play at a higher stakes table you will make more money but it will take longer so you will make less over the long run. The key is to find the perfect table to suit you. As you become better and more experienced, gradually move to higher tables and note the changes. So be professional, keep notes and stay consistent. It will pay off in the long run. Choosing the right online poker site can be a daunting task. As the internet continues to expand in 2018 and grows in popularity, so does the online gaming industry and variation of gaming sites. 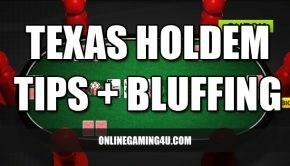 There are now a vast number of poker sites available to the online community, so you shouldn’t necessarily just choose the first result presented to you by the search engine or the catchiest URL. But before you settle on an online poker site to use, what types of things should you consider? First of all, check out the functionality of the site. You want a site that is easy to navigate, with clear links to the games and options available. In addition to this, the game interface should be simple to use and intuitive. In order to get the most out of your gaming experience, the games should be easy to access and play with clear graphics. A sign of a poor site is one with hazy, pixelated images and a restricted number of options for you to choose from. 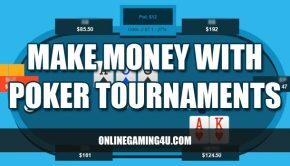 One extremely important aspect you need to consider before you sign up or part with any of your cash is the legitimacy of the poker gaming site. There are plenty of sites out there that are operated by legitimate casino operators, but there is a rogue element so you need to be wary. When visiting sites take a good look at the design. Often, a well-designed poker gaming site with a clear layout is indicative of a more reputable operator. However, appearances can be deceptive, and just because a site has a well thought out colour scheme and impressive graphics does not necessarily guarantee that all is above board so there are other things that you should look for too. 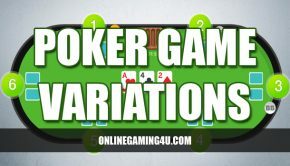 Most reputable poker gaming sites will be affiliated with UK Gambling Commission or another governing authority, so check the website for relevant logo or contact the Gambling Commission if in doubt. It is better to take the time to check things over carefully than to lose out to a dodgy site. Another factor to research is the payment method that the poker gaming site accepts. Some sites will accept debit or credit card payments whereas others will require you to complete the transactions through PayPal or similar payment systems, so you may decide to go with the poker site that has a payment method that suits your financial situation. Whilst a credit or debit card payment may be a quick and easy method, you may prefer making alternative deposits, and it’s worthwhile checking with the poker site operator before you sign-up as to the methods of payment on offer. Poker gaming sites can be a great way to spend some recreational time, but whilst many of the sites may look tempting at first, consider the above factors and check a range of sites out before you firmly decide on one and part with any money. Not all poker sites are equal too. It pays to have a good look at what the market has to offer. First published 3rd August 2009. Updated 23rd January 2018.